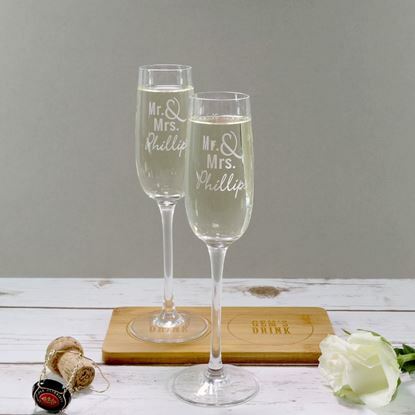 The perfect wedding or anniversary gift, our Mr & Mrs personalised champagne glasses are elegant and stylish. 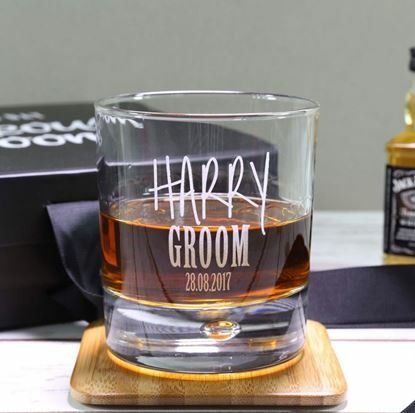 If you are looking for a stylish gift for your groom on your wedding day then our Grooms glass is perfect. 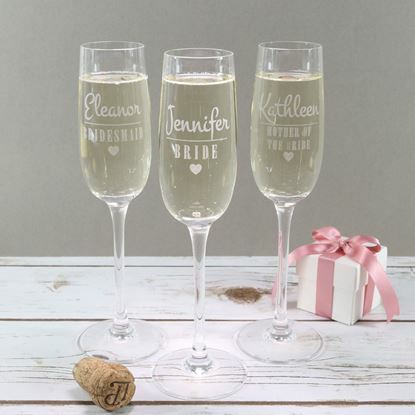 Each glass comes personalised with the name of the groom and the date of the wedding. 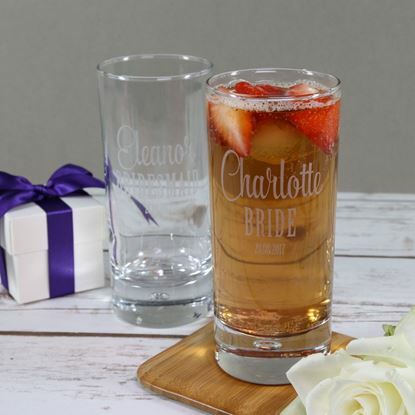 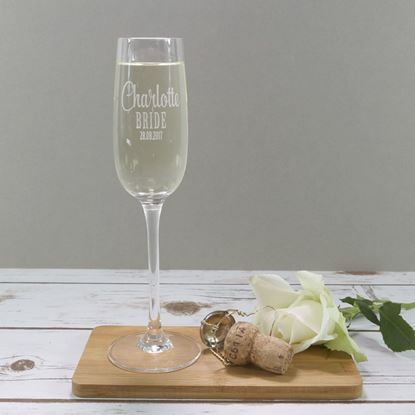 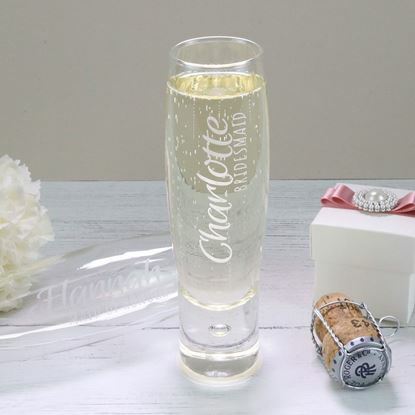 Our gorgeous stemless bridal party glasses are perfect for sharing a drink on the morning of the wedding while you are getting ready and make lovely keepsakes to take away. 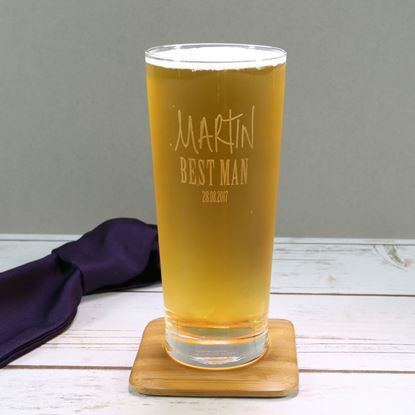 Our high quality personalised hiball glass comes etched the name and title of the recipient and the date of the wedding.